Foss Shipyard in Seattle has been named an "Authorized and Recommended Workshop" for Stork- Werkspoor marine diesel engines, and will provide service and spare parts throughout the Pacific Northwest. 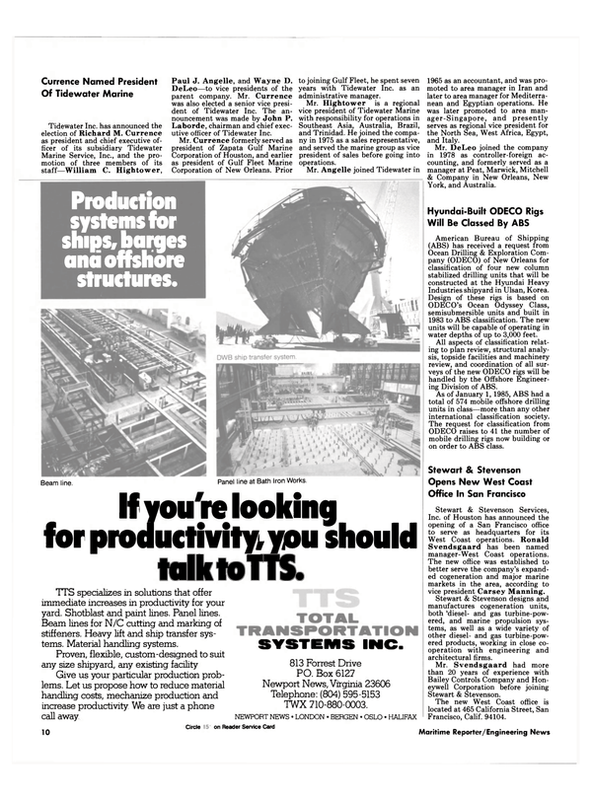 The agreement between Foss Launch & Tug Company, a Dillingham company of which Foss Shipyard is a division, and Stork- Werkspoor of the Netherlands, was announced recently by Chuck Garman, Pacific Northwest sales manager for Stork. Operating from the shipyard located on the Lake Washington Ship Canal, Foss personnel will be able to install, maintain, and repair Stork- Werkspoor engines for commercial vessels operating in the Northwest and Alaska. Foss Shipyard engine repair specialists are factory-trained to handle all types of repairs including extensive overhauls. Foss will stock most frequently used Stork spare parts, which will be available through the firm's existing distribution system. In addition to Stork-Werkspoor, Foss Shipyard is an authorized repair station for Cummins, Caterpillar, GM, EMD, and Wartsila marine diesels.